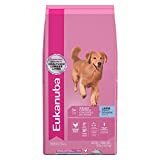 Eukanuba Large Breed Adult Dry Dog Food is a large kibble food which is made with chicken, and includes natural sources of glucosamine and chondroitin sulfate to help support joint health. 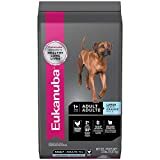 Eukanuba Large Breed Adult Dry Dog Food does not have artificial preservatives, flavors or colors. 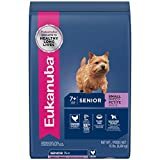 We switched from a cheaper dog food to this Eukanuba. 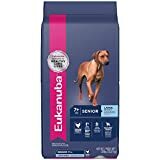 My lab has had better stools, solid energy, and loves the stuff overall.